My readers may recall that in January of this year, I kicked off the New Year with an extensive article about some rather significant changes looming for the U.S. insulin market, which is badly in need of both innovation and competition on prices and quality, so let the competition begin!! As I write this post, two companies (Biodel Inc's VIAject and MannKind Corp's Afrezza inhalable insulin) mentioned in my January article have already submitted new drug applications (NDAs) or abbreviated new drug application (ANDAs) for insulin are now awaiting approval or denial decisions from the U.S. Food and Drug Administration (FDA). U.S. law mandates under the Prescription Drug User Fee Act (PDUFA) that was passed into law in 1992 that the FDA is required by law to act on new (or abbreviated new) drug applications within 180 days. Of course, if an application is incomplete or there are any questions about an application, the stopwatch does not actually begin to countdown until all of those issues are completely resolved. This was the case with MannKind's Afrezza inhalable insulin (see here for more background), whose NDA was delayed slightly by some questions on the new drug application for Afrezza and the inhaler device. Specifically, MannKind conducted clinical trials using one version of the inhaler but was seeking approval for marketing a modified version of the device. Investors remain a bit spooked by the prospects for Afrezza given the Exubera debacle (see here for some background on that), and critics argued that was a very amateurish mistake that MannKind could have avoided with better preparation. Regardless, it should also be noted that the 180 day timeframe is a deadline for the FDA to actually ACT on an NDA, not necessarily render an approval or denial on a drug. However, the FDA has historically told applicants when they are likely to expect an approval or denial decision in a "complete response letter" given at some point following acceptance of the new drug application. Many (if not all) Wall Street investment analysts watch carefully for clues on the so-called PDUFA dates in order to assess the outlook for new drug sales and the revenue streams associated with them, and can therefore give guidance to investors on pharmaceutical and biotech company stock valuations. As of yesterday, we now have PDUFA dates for BOTH new insulins being reviewed, and they're quite literally right around the corner! I should note that on September 2, 2010, Biodel, Inc. announced that the company was abandoning the registered trademark of VIAject and renaming it Linjeta (see here for more background). I can only guess on the reasons or logic behind that decision, but just be aware that the terms VIAject and Linjeta are used interchangeably here, but the brand to be used will be Linjeta. Biodel, Inc's ANDA for VIAject was submitted to the FDA on December 30, 2009. On January 14, 2010 at the 25th Annual JPMorgan Annual Healthcare Conference in San Francisco, Biodel indicated that the PDUFA date for VIAject was anticipated to be on October 30, 2010 (see here and reference slide 25 which is on page 26 for complete details). Note that because October 30, 2010 is a Saturday, it could come on Friday October 29, 2010, or more likely on Monday, November 1, 2010, although the actual date is unlikely to have any impact on the outlook for the company's stock. In the subsequent quarterly earnings presentations from Biodel, there has been no mention that the PDUFA date had changed, nor were there any unresolved questions from FDA reviewers. That's largely because the company delayed its application for VIAject until the outstanding questions on it's clinical trial results in India were completely resolved, otherwise it would the company would have submitted the ANDA sooner. But Solomon Steiner, who was the CEO (he's stepped down to become full-time Chief Scientific Officer, which is really his core expertise anyway) knows very well how the FDA works, so the company had wrapped up any possible questions before submitting the application. The NDA even includes references to an insulin pen, although as the presentation notes, the NDA will be supplemented for both an Owen Mumford pen device (Own Mumford is a UK-based company that designs and manufactures a range of different medical devices and disposables used by healthcare professionals and consumers worldwide, and already sells insulin pen needles approved and markted in the U.S. and Canada today) for a refillable pen that accepts VIAject insulin cartridges, and a disposable pen that is from an Indian based biopharmaceutical company with a large presence in the UK thanks to it's acquisition of UK insulin manufacturer CP Pharmaceuticals, Wockhardt Ltd. will supply them with disposable pens, but assuming VIAject is approved, will likely be rolled out after it is approved. The disposable device is referenced on slide #27 (which is page 28) of the JPMorgan presentation above. Afrezza is fundamentally different from VIAject because it is not subcutaneously injected, but inhaled through the lungs. That also means it cannot apply using an ANDA because it is more than slight modifications to a generally recognized as safe molecule, therefore it is an NDA just like any brand new drug. Because it is completely new way of delivering insulin, and the company's "Dreamboat" inhaler is not even the device referenced in the NDA submitted to the FDA, but a second-generation device. Some industry consultants have called that a very amateurish mistake, because more experienced drug, biotech and medical device companies would have undoubtedly ensured that device modifications would be done after the drug already had an FDA approval. Regardless, MannKind remains bullish on Afrezza even if analysts on Wall Street, the medical profession and even patients with insulin-requiring diabetes are somewhat less enthusiastic. While some patients may indeed find this delivery method more attractive, but ensuring Medicare coverage is likely to be critical in the success of reaching insulin naïve type 2 patients and their doctors who can (and too frequently do) delay initiating insulin into their diabetes-care regimens, so MannKind has its work cut out for it. In any event, MannKind investors been somewhat uncertain about the what the PDUFA deadline for Afrezza would end up being since there were some early delays on the NDA itself which the company was working to resolve earlier this year. In MannKind's Monday's Q2 Earnings Presentation, that question was finally answered (see here for the transcript). Chief Financial Officer Hakan Edstrom told investors that Afrezza's NDA was given a December 29, 2010 PDUFA date. Will patients with diabetes be celebrating the new year with Afrezza? Although insulin-sensitive type 1 patients may still find refining dosages more difficult with Afrezza than they can accomplish via subcutaneous infusion (with an insulin pump), this product still has potential to change the way mealtime insulin is dosed for many and could encourage more type 2s who may be avoiding mealtime insulin to consider it, plus the speed into the actual bloodstream promises to be faster than current rapid-acting insulin analogues, albiet only by a few minutes based on company data. To use Amy Tenderich's expression whether MannKind's Afrezza Dreamboat inhaler is a blockbuster in waiting or another looming shipwreck (à la Exubera) remains to be seen, but we could see clues as soon as January 2011, so stay tuned for more! No doubt, my readers may have seen my Tweets (posts on the social network Twitter) which are on display in the right-hand margin of my blog. Initially, I grabbed my "sstrumello" login on Twitter to ensure no one else took it, but it took me a bit longer to start using it. But since I became a Twitter member, I think it has become abundantly clear that Twitter is no longer exclusively about micro-sized (140 characters -- including spaces -- or less) posts that can be done via text (SMS) messages from almost any mobile phone, on the web, or using any of the countless applications that exist to help users keep track of all their social media contacts. But that's not the real beauty of this particular social media channel, it's that there's really a non-stop conversation pretty much 24/7/365 on topics of interest, as people really can chat using their mobile devices or PC. Once again, diabetes has a very well-established footprint (or are they bird-prints since Twitter's logo is represented by a bird that "tweets"?) on this space, and many of the names also present in the blogosphere and on Facebook are on Twitter, too -- usually on all of the above social media venues (blogs, Facebook and Twitter). I have retained the "sstrumello" brand on my blog, as well as on Facebook and Twitter, incidentally, and you may also recognize that most others have the same or very-similar sounding user names. More recently, the Twitter #DSMA chats have taken on a bit more structure, at least once a week for an hour or so. Cherise Shockley (a.k.a. @Diabetic_Iz_Me on Twitter) has for the last few weeks kind of pioneered doing scheduled weekly diabetes-related chats on Twitter. Unlike online chats that occur on DiabetesTalkFest.com which is now the The Diabetes Resource chatroom, in which a guest is usually pre-scheduled and participants may ask questions or give comments to the guest "star" of the chat, these are really much more open-forum discussions. I don't see this as a threat to the DiabetesTalkFest-style of chats, which are somewhat less frequent and more structured in nature, as it seems unlikely that prominent diabetes researchers will join these chats, although I guess one never knows. But the real beauty is that because people can do them from their mobile devices, participation is less dependent on someone seated in front of their computers. The conversation moves very fast, and these have become a happening place to be on Wednesday evenings at 9:00 PM EST (6:00 PM PST), especially since we're in the middle of re-runs of stupid reality TV shows and the like on television until the new season begins after Labor Day. 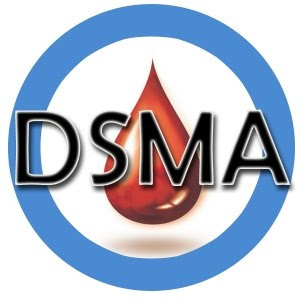 Cherise has assumed the identity of #DSMA (an acronym for "diabetes social media advocacy" represented by the Twitter ID "DiabetesSocMed") to organize this weekly event, and usually has a handful of discussion topics that participants chat about. These occur every Wednesday at 9:00 PM EST and are designated with the #dsma tag. A sneak peek of this week's topic du jour is: insulin/T-2's and experimental treatments. Let me go on the record as saying these are very active and lively chats, and definitely worth checking out!! Now, Twitter has spawned a host of ancillary applications including web-address shortening applications (including bit.ly and tinyurl.com just to name two of the more popular ones, although The New York Times now has it's own designated "short" URLs designated with "nyti.ms", whereas Huffington Post uses "huff.to" and Medical News Today uses "mnt.to", but as I understand it, all use bit.ly's underlying technology) which effectively shrinks long URLs to fit conveniently within the 140 character limit imposed by Twitter. There are also desktop, web and mobile-phone applications (I have been using yoonoo.com which is a desktop application), but there are also web-based applications such as brizzly.com or friendfeed.com, and mobile phone-based applications like tweetdeck.com) that help to keep track of all these different social media memberships in a single location/application (I call them "consolidator" applications) and with a primary login, you simply need to enable the anciallary applications to access your Twitter login and password. Truth be told, most people use these consolidator applications because it becomes a big hassle otherwise. Indeed, Twitter's anciallary applications (designed by other developers to work with Twitter) are growing as rapidly as Twitter itself. One anciallary application that is quite useful is TweetChat.com, which in it's own description, "... helps put your blinders on to the Twitter-sphere while you monitor and chat about a hashtagged topic" (FYI, the hashtag or "#" is used to group posts made on Twitter that reference the same subject more easily, whereas the "@" symbol is used to reference the original poster, such as when you re-tweet them (which is preceded by "RT"). The TweetChat function has some nifty features, such as eliminating the need to add #dsma after Tweets made in the chatroom by doing it automatcally and only listing posts made with the same hashtag, and also the ability speed up (or as is more often the case, slow down) the refresh rate of new chatroom posts. Author P.S., 2013: In preparation for Twitter's IPO, the company has been moving to severely limit access to its API (application programming interface), which investors love. That means the company has kicked some of the so-called ancillary applications that helped fuel its growth to the curb like trash. TweetChat.com was one of those, but a new "Twitter-sanctioned" app has emerged called http://www.tchat.io/ which you can use for chats on Twitter. Its worth checking out. Cherise has also done a fantastic job by creating a website where you can catch the transcripts of past chats which can be caught at http://diabetessocmed.com/. Now, if you already have a Twitter user ID and password, that makes your job a bit easier, and I find it easiest to just login to Twitter in one window, and then visit the TweetChat.com site in another window (or "tab" in Microsoft's Internet Explorer or Mozilla's Firefox web-browsers). My consolidator application Yoono.com makes that as simple as pushing a button. If you already have a Twitter ID and password, and go to the TweetChat website, you just click on the "Sign In" button and will then be taken to a page that says "An application would like to connect to your account, and more some more detail indicating "The application TweetChat by would like the ability to access and update your data on Twitter. This application plans to use Twitter for logging you in in the future." Where it asks you if you want to "Allow TweetChat access?" you should select the "Allow" button, which will then log you into the TweetChat application. You then enter the chat "room" in the box that is preceded by the "#" (known as the hashtag) and to enter the DSMA chatroom, you simply enter "DSMA" in the box and press the "Go >>" button. All of your Tweets will then be posted to Twitter automatically and will be designated with the #DSMA hashtag, plus you can reply to specific comments or re-Tweet comments from others, and most importantly, slow down the "refresh rate" to enable you to actually read and follow the conversation at a speed that works for you (that depends on how many people are in the #DSMA chatroom and Tweeting their thoughts at a given moment). Anyway, that's all for today. I hope I've made that reasonably clear for anyone who might be interested in this stuff. Stay tuned for more of what you came her for! Thanks Scott for both the insulin update and the words of using twitter (more) effectively. I'm glad to hear I'm not the only one who gets totally revved up for Wednesday nights. Looking forward to tonight's chatter! Thanks! I've tried to follow but wasn't too successful the past two chat nights. Hoping this will help! Thanks for the updates Scott. I have really been enjoying the #dsma chats on twitter.